WhatsApp users can now add up to four people in total to a group voice or video call. The feature is finally rolling out to all WhatsApp users. Group voice and video calling on WhatsApp has been in the works for a very long time. Amid a lot of reports, Facebook cleared the air over the feature at its annual F8 conference in May and soon after the announcement, the feature was spied on Android and iOS beta updates. Now, the Facebook-owned instant messaging app has announced that it is finally rolling out the group calling update to all users on Android and iOS. “Over the last couple years, people have enjoyed making voice and video calls on WhatsApp. In fact, our users spend over two billion minutes on calls per day. We're excited to announce that group calls for voice and video are coming to WhatsApp starting today,” the company announced in a blog. Users can make a group voice or video call with upto four people in total. 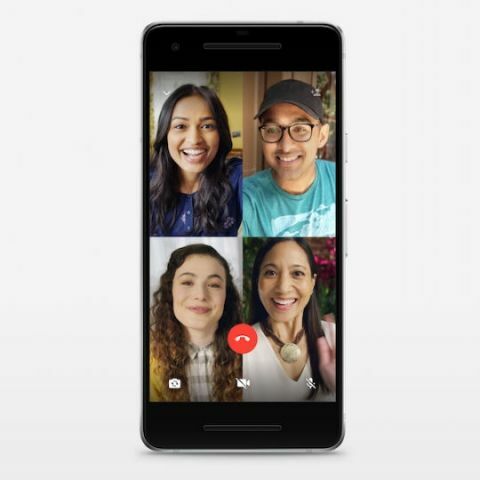 To make a group call, you need to first start a voice or video call with one person -- just like you do generally before making a regular conference call on mobile. To add people to call, just tap the new "add participant" button in the top right corner. “Group calls are always end-to-end encrypted, and we have designed calling to work reliably around the world in different network conditions,” WhatsApp said. This particular characteristic is a good news for India where people often suffer from call drops and struggle to find adequate connectivity to undertake video calls. The group calling feature was first spotted by WhatsApp feature-watcher, WaBetaInfo. It also said that instant messaging app is also working on introducing Stickers in the app but there is no update in this respect. Earlier this month, WhatsApp rolled out a feature called 'Suspicious Link Detection' which enables users to detect harmful links sent and received on WhatsApp. The aim of the feature is to make the platform more secure. During Facebook’s Q2 2018 earning call last week, company CEO Mark Zuckerberg announced that WhatsApp now has more than 1.5 billion monthly active users on WhatsApp. Is wifi calling is available in IPHONE 6?